Reasons to Lose . . .
A book I found really helpful, from addressing the mental parts of weight loss, was The Beck Diet. I read this as I was starting Weight Watchers and while I didn’t do all of the activities in the book, I did find a few things really useful. Most helpful has been writing down the reasons I wanted to lose weight. I kept this list on my phone and reviewed it monthly, to add new things as I thought of them, and any time I was particularly tempted, like when presented with unexpected cookies! I think I now need to work on a Reasons to Maintain list, right? 1) Decrease my risk of diabetes – A real concern for me given my history of gestational diabetes and strong family history of diabetes. My fasting blood sugar is still a little high, but not in the diabetic range. Hopefully that risk will continue to decrease the longer I maintain my weight loss and keep up the exercise! 3) Get off medication for my high blood pressure – Done! 4) Have more energy – Infinitely! I didn’t realize how much the extra weight was literally weighing me down until it was no longer an issue. 6) More options / fun shopping for clothes – This is absolutely one of my favorite improvements. I haven’t quite figured out what looks good on this new body, but I’m enjoying experimenting. I love being able to shop in mainstream stores. 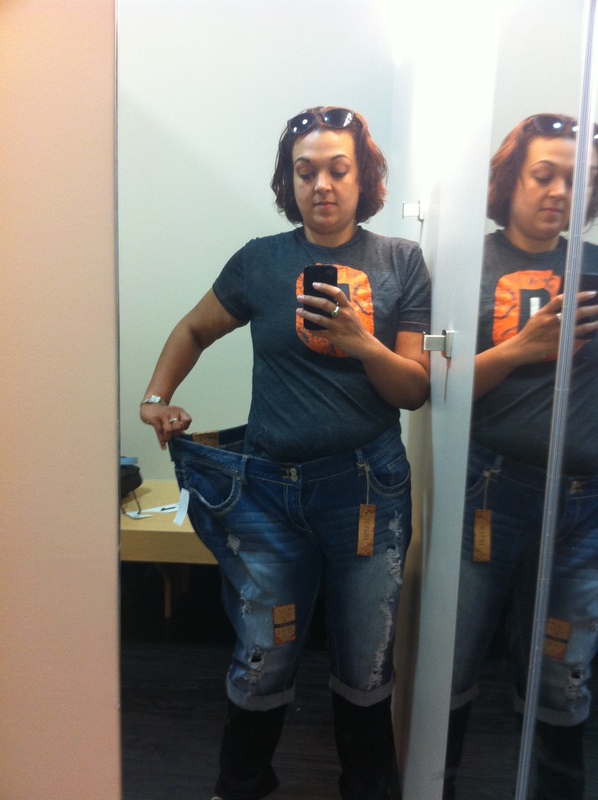 I took a picture to send my husband the first time I put on a pair on non-plus size jeans at Target and wanted to cry the day I realized in J Crew that I was a size 6 (Easter weekend, 2013). 8) Be light enough for my husband to carry me like Rhett Butler – Not quite there yet but maybe if I get D to work out!